A University of Texas at Austin mathematics professor is shaping the future in more ways than one. 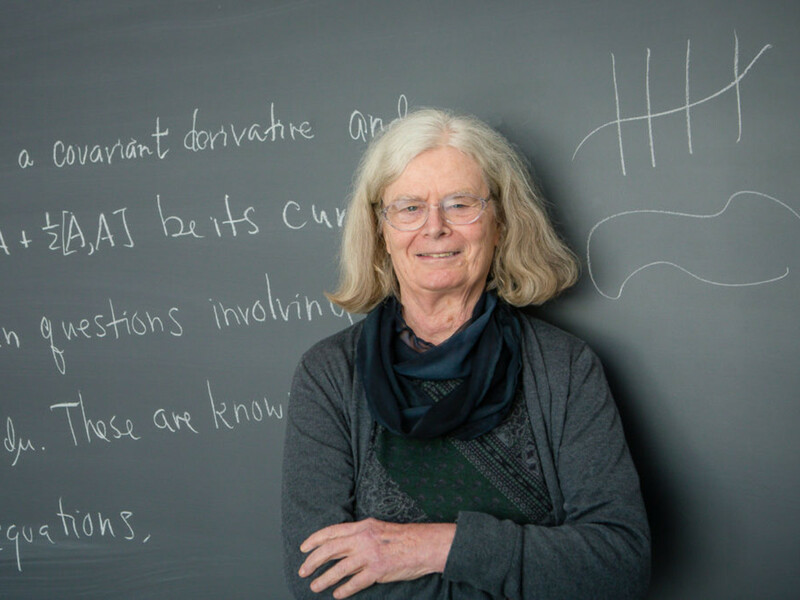 On March 19, professor emerita of mathematics Karen Uhlenbeck was awarded the 2019 Abel Prize, considered to be the world's most prestigious award for mathematics. This is the first time ever a woman has received the Abel since the award's inception in 2003. The newly minted Abel Prize Laureate was lauded “for her pioneering achievements in geometric partial differential equations, gauge theory, and integrable systems, and for the fundamental impact of her work on analysis, geometry, and mathematical physics” by the Abel selection committee. Though receiving the Abel could be considered the crowning achievement for any mathematician, this is just one of many illustrious achievements Uhlenbeck has unlocked over the years. In 1983, she received a MacArthur Fellowship, also known as the "genius grant." She is also a member of the National Academy of Sciences and was awarded the National Medal of Science in 2000. Uhlenbeck has been a professor at UT since 1987, where she was credited with "transform[ing] the fabric of the department" by Thomas Chen, chairman of UT's Department of Mathematics. As a professor, Uhlenbeck co-founded numerous clubs and programs, and was considered a dedicated mentor to young mathematicians. She also held the Sid W. Richardson Foundation Regents Chair in Mathematics beginning in 1987 through her retirement in 2014.